Sivels attended Hickory High School in Chesapeake, Va. As a student, she was busy working to balance multiple Advanced Placement credits and after-school programs, such as her school’s Scholastic Bowl. She was also highly active within her church community. As senior year progressed, she started applying to different engineering schools. Though the Massachusetts Institute of Technology was her “reach school,” she was accepted. When she arrived at MIT, Sivels had a heavy background in chemistry. But one of her mentors suggested she look into the nuclear field as she became interested in energy, antimatter and the nonproliferation of nuclear weapons. Yasmine Doleyres, Sivels’s roommate at both MIT and later at the University of Michigan, spoke on her work ethic and triumphs at the challenging universities. In between her undergraduate degree and PhD, in Cambridge, Massachusetts, Sivels became a chemistry teaching assistant and worked briefly with Teachers for America on an internship. Because of this work, she began to feel a pull toward academia. Yet, an academic advisor suggested Sivels look into a master’s program before deciding to professionally teach. So, she looked to the University of Michigan for the next chapter of her education. In Ann Arbor, she obtained a fellowship with the GEM National Consortium and connected with the Pacific Northwest National Lab to help with her five-year thesis work pertaining to treaty verification using beta-gamma coincidence detectors. She built a prototype, in collaboration with Nuclear Engineering professor Sara Pozzi and Justin McIntyre, of a radioxenon detector. Radioxenon is a fission product of nuclear explosions and is useful in detecting underground explosions. This product could possibly be put to use in the near future. Pozzi recalls the ongoing trial-and-error process being done on Sivels’ detectors, and the continual — and still developing — research done within the lab. Within her first year at the University of Michigan, she noticed she was the only Black student pursuing a doctorate in her field. The following year, one more Black woman entered the program. In 2018, there are a total of three Black women pursuing doctoral degrees in nuclear engineering. According to The Scientista Foundation, in 2010 about 20,570 individuals obtained their doctoral degrees in STEM. Less than 3 percent of those 20,570 were African American women. 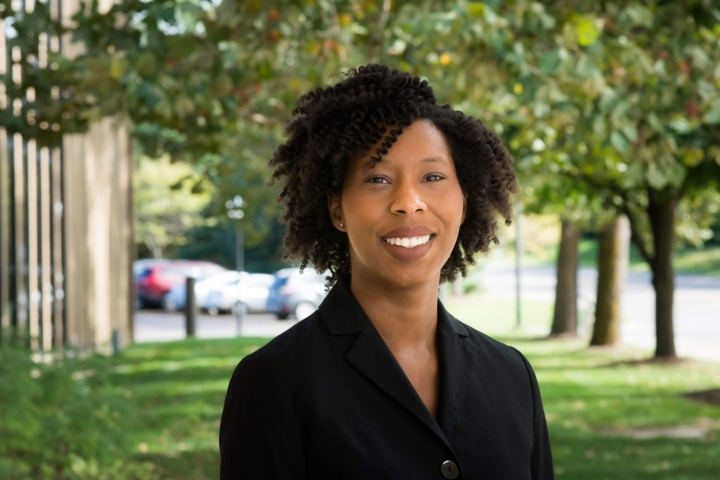 Because of this experience, Sivels, with alum Crystal Green, one of the other Black women in the nuclear engineering doctoral program, worked to increase outreach at the high school level through the Detroit Pre-College Engineering Program. DAPCEP is a nonprofit organization in Detroit that provides underrepresented youth with innovative educational programming in STEM fields. The University hosts a slew of these programs found in the mechanical, chemical and nuclear studies. Each program is about six weeks long and gathers about 20-30 students to teach them about different types of engineering. Sivels also founded the group Women in Nuclear Engineering in Radiological Sciences. This congregation allows for women of all races and ethnicities to gather together and discuss the trials and tribulations of being a women pursuing a degree in STEM. Pozzi, the new director of the University’s Diversity, Equity and Inclusion program for the School of Engineering, states though the University is on its way toward becoming more inclusive, it is still a long ways away from where it should be. Overall, Sivels is happy to be done with her schooling and to get to work. As for her title of being the first Black woman to graduate with a doctorate in nuclear engineering — she is indifferent. At the end of the month, she will begin a job at Johns Hopkins University in the applied physics lab. However, she hopes to eventually transition over to academia to, again, encourage the increase in representation of women of color in the STEM field.